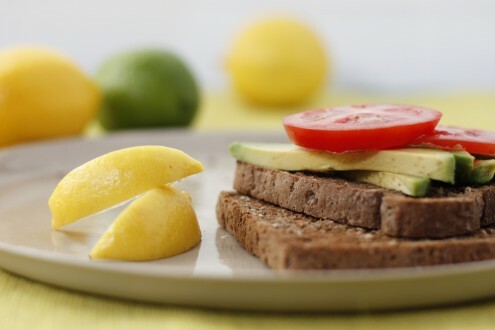 Serve each slice of toast topped with mashed (or sliced) avocado and tomato. Variation: Add 1 teaspoon of crushed garlic to your mashed avocado and top with fresh coriander. You could also replace toast with your carbohydrate allowance in wholegrain crackers for change. That photo is particularly peppy! Bon appetit.